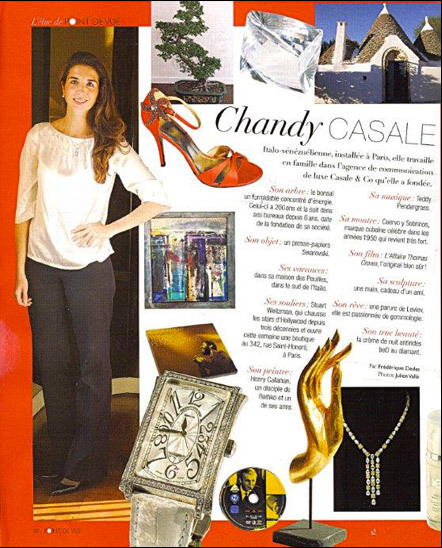 L’élue de Point De Vue published a brief profile of Chandy Casale that highlights her passions, lucky charms and tastes as well as favorite destinations and her beauty secrets. A brief but incisive presentation of the new family branch dedicated to the Indian market, demonstrating how international her services are and the large reputation her company has. Casale and Co is part of the excellence of luxury agencies, right in the heart of Paris, always offering fine strategic and original concepts since 2003. 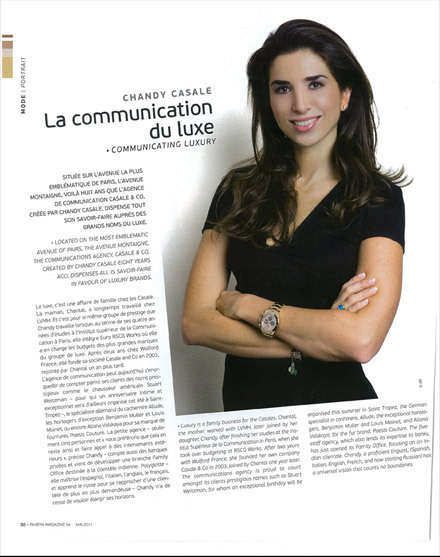 After interesting experiences at LVMH (where Chandy’s mother, Chantal, worked as well right before joining her daughter) RSGC Works and Wolford France, Chandy decided to use her expertise to run her own company and create her business.